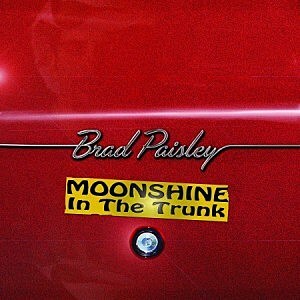 Brad Paisley "Moonshine In The Trunk"
Brad Paisley is a name that will undoubtedly be known to most country fans. Following 2013's Wheelhouse, Moonshine In The Trunk was released on August 26th. 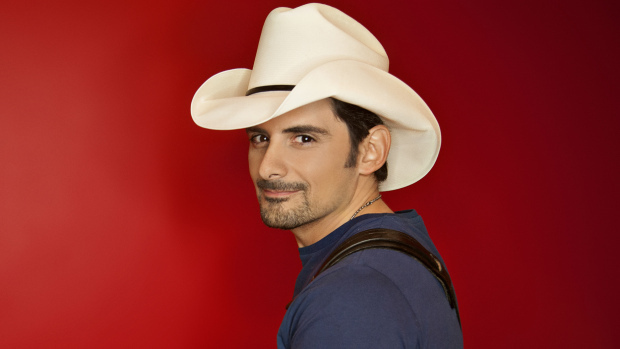 The addition of the album features fifteen tracks, thirteen of which are co-written by Brad. The last three tracks on the album are the real gems in my opinion, with American Flag On The Moon being my favourite of the three. American Flag On The Moon starts with a piano hook that is slowly built upon with various instruments such as electric guitar and drums. The whole song is lyrically very touching with lines such as "tonight I dare you to dream, go on believe impossible things, whenever anybody says there's anything we can't do, after all there's an American flag on the Moon". The inclusion of 'Mrs King's class at Montessori Academy' (as they are credited) in the later part of the track rounds it out nicely. A brilliant track all round! American Flag On The Moon is followed by Country Nation. The electric guitar opening isn't as energetic as some of Brad's other songs and sets a strong pace with help from the drum line. One particular lyric, "we crank up our music Friday night, on 2000 country stations, yeah we're one big country nation that's right" (and it's other variants throughout the track) describes Country Nation well in my opinion and I am sure this will be a track a lot of fans will be drawn to, with it's relatable lyrics and catchy melody. As far as the track listing on the hard copies of the album shows Country Nation is the last track on the album however bonus track Me And Jesus in fact closes the album. With a similar melody to Will the Circle Be Unbroken, Brad delivers a very heartfelt vocal with minimal instrumental backing. Songs such as this and American Flag On The Moon are, in my opinion, Brad's best tracks as he delivers his best vocal with less production. Brad is certainly a very talented entertainer during his live shows and he slips many electric guitar solos into his performances - which shows off his impressive guitar playing!. As aforementioned his slower, more heartfelt tracks are his best in my opinion and I would personally like to see more scattered throughout this release. He is also a strong song-writer with some great lyrics throughout the album. Not as controversial as Wheelhouse, Moonshine In The Trunk is, all in all, still a very good album and one that is definitely worth listening to! Labels: Brad Paisley "Moonshine In The Trunk"